So apparently I am a grown up. I’m not sure when it happened. But all of a sudden I am married (last weekend – teeny tiny civil service with our parents – heavenly) I am pregnant (still convinced the bump is just doughnuts) and have embarked on that very big and exciting and terrifying building project – the SIDE RETURN EXTENSION. 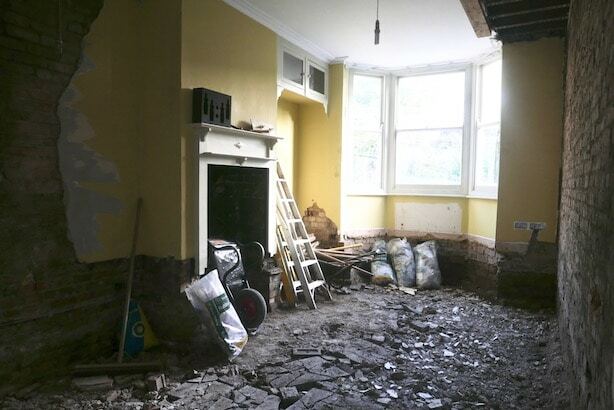 We moved into our Victorian terraced house in August 2016, knowing full well what we wanted to do to the property as soon as we could afford to. However, we followed the advice of some friends and family who said, “live in the house for a while first”. Which may sound obvious, but actually it was the best thing we could have done.